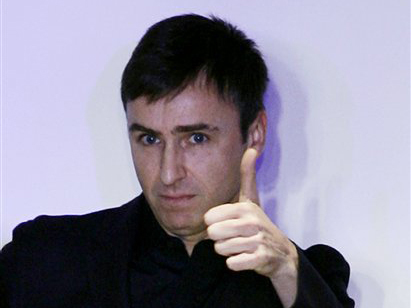 Dior’s Raf Simons Silences Critics with Debut! 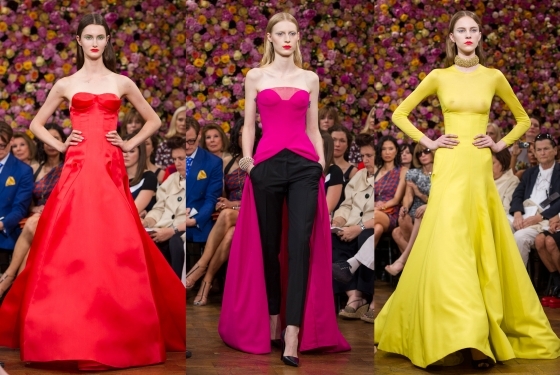 Christian Dior’s show has been the talk of Paris couture week. 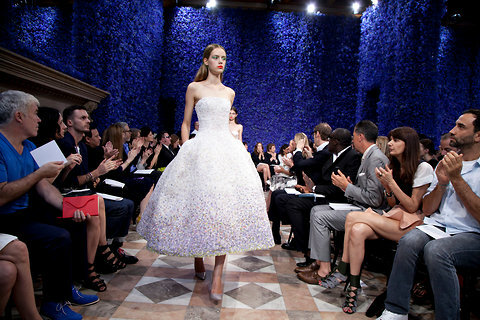 New designer Raf Simons’s debut at the fashion house came with speculation. Would he live up to the iconic brand’s name? 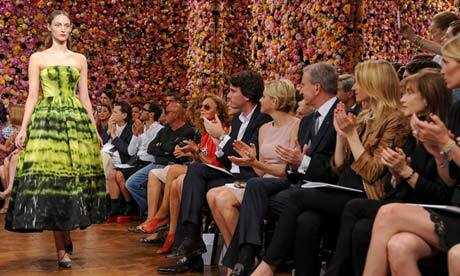 The spectacular flower filled show took place at a grand residence near the Arc de tromphe. There was an overwhelming support from Simons’s peers. Fellow designers Diane von Furstenberg, Marc Jacobs, Donatella Versace, Alber Elbaz and Christopher Kane among others were in attendance proving that Simons is highly respected among fashions elite. 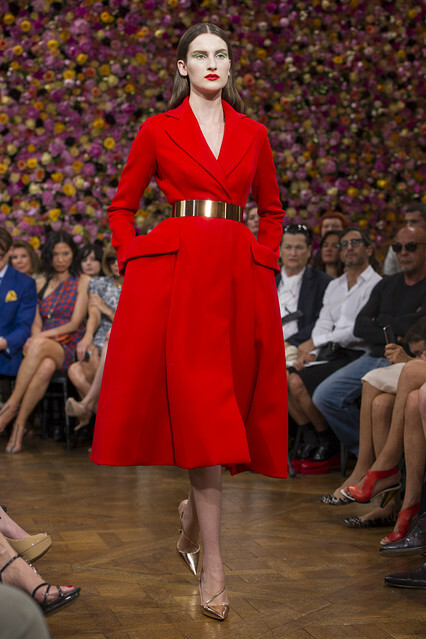 After John Galliano’s sudden and quite scandalous departure from Dior early last year, all eyes were on Simons and today he proved he is ready…..he did not disappoint, he triumphed!